An exciting opportunity for a full Mysore program in Bonn for two weeks! We are very excited to announce that the wonderful Joseph Armstrong will be joining us in Bonn for two weeks! Joseph will be here to teach a two week Mysore Program and also two workshops. 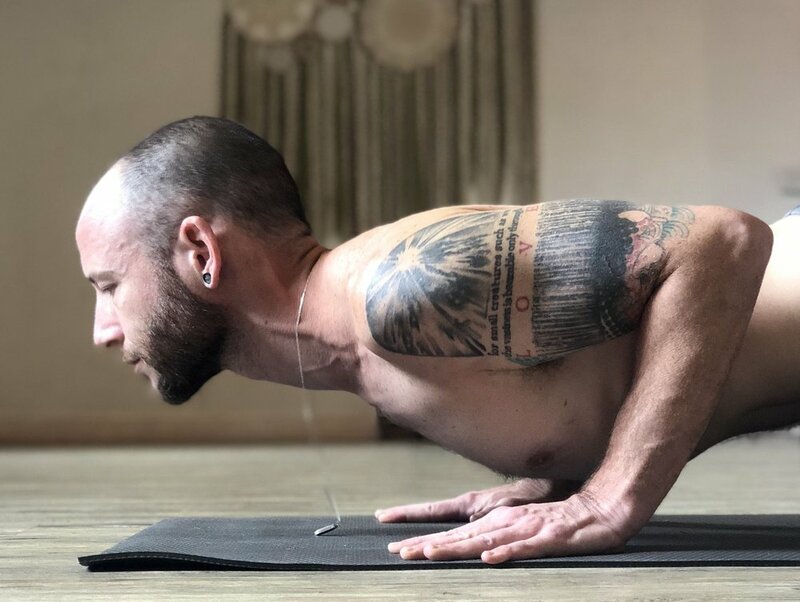 When he is not teaching at the world renowned Miami Life Center under his teachers Tim Feldmann and Kino MacGregor, Joseph teaches his full-time Mysore programme in Guatemala. Mysore is the traditional way to practice Ashtanga Yoga and is open to all levels. So named as it was taught this way by Sri K. Pattabhi Jois, in Mysore, India. In a Mysore class the students are taught a specific Ashtanga sequence through one-to-one instruction in a group setting. The sequence is learned step by step and the process is a gradual one and this gives the students the benefit of fully practicing and memorising what they have learned before adding more. You can use your class credits or monthly memberships for the Mysore or led classes however we will also be offering a Mysore package for either one week or both weeks for students who would like to commit to only the Mysore package. If you purchase any of the Mysore packages you will receive 20% off the Workshops with Joseph. Joseph Armstrong teaches yoga with feet planted firmly in tradition and gaze turned towards the future. His search for a more present and peaceful life first led him to the practice in 2008. A few years later he was in India, studying intensively. After finally overcoming a long struggle with addiction, Joseph began experimenting with Ashtanga Yoga. He understood quickly that the lineage was calling to him to deepen his practice. He underwent a 2 year apprenticeship program at the world renowned Miami Life Center, continuing his education under his teachers Tim Feldmann and Kino MacGregor. In 2016 he completed 2 months of study in Mysore under Sharath Jois. 2017 brought Joseph to Guatemala for a weekend of workshops. He fell in love with the place and decided to move there full time. Currently he lives and teaches in Antigua. Joseph teaches yoga because attempts to do any and everything else ended disastrously. But when he finally devoted himself to his passion, he became an asset to himself and others. He hopes his practice allows him to be ever more loving and to exist gently.